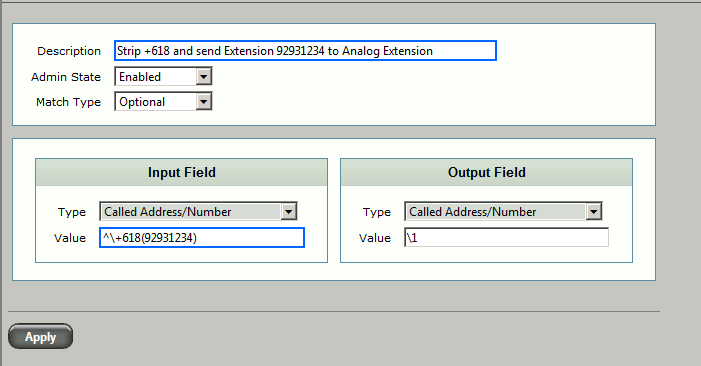 Objective of this article is to guide how to configure Analogue extensions sitting on Sonus SBC 1000\2000 FSX module to communicate with Lync server 2013. Integration with having the FSX modules on the SBC chassis is much less complicated that the FSX is sitting on a different Gateway. In that case, there will be a licensing concern when it comes to Sonus gateway. To do this, you would probably need Registrar license as well as SIP\Transcoding license. But, in Sonus SBC version 3.1.x does have an option called “RTP Proxy”. This parameter configured in Routing table against the specific route allows RTP to flow without a Transcoding license given that both end use the same codec. This step is much like configuring a Common Area device. Instead of New-CsCommonAreaDevice, we use New-CsAnalogueDevice. 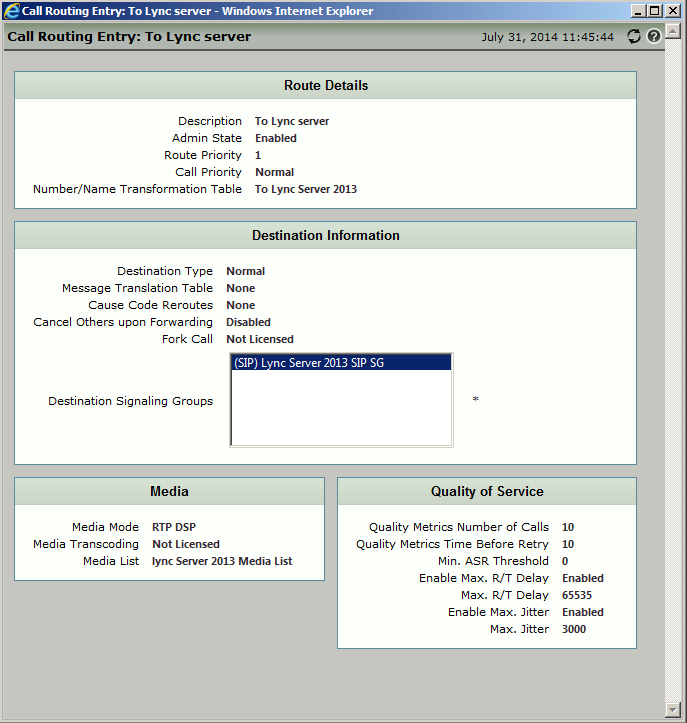 Use the Lync management Shell to run below command. Replace site specific parameters for the highlighted sections. There’s no need to grant a voice policy because the Lync server doesn’t have any sort of authority over the analogue extension. Jump in to the SBC and navigate in to Settings > CAS. 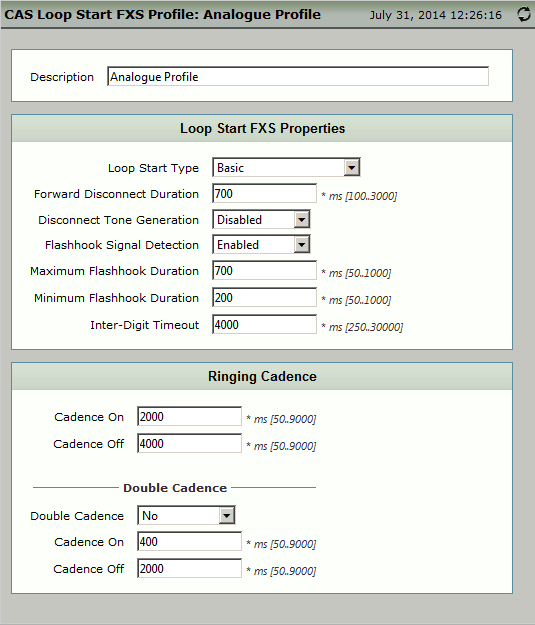 In CAS Signalling Profiles, create a new FSX signalling profile as shown below. What this rule does is that, a call comes as +6192931234 to 92931234 (The analogue Extension). This rule depends on how the Lync server send the numbers to the SBC. In my case, it’s the full E.164 number. What this set of rule does is that, It coverts dialed 4 digits Extension numbers in to full E.164 number so that the Lync server can identify where that call to be sent to. Now to create a Signalling Group for the FSX module. This is where the physical FSX port will get the extension number and get associated with a CAS profile. 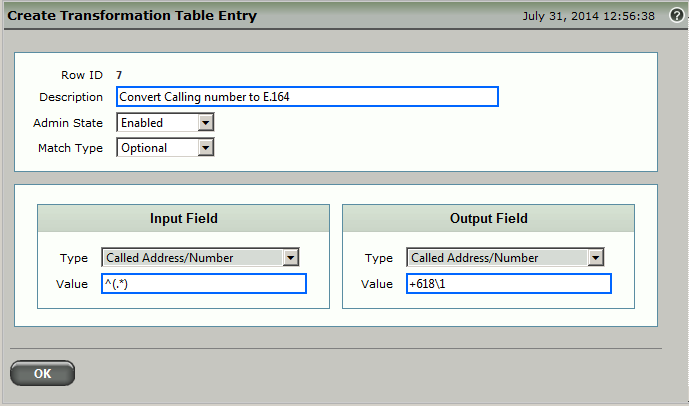 For the time being, set the Call Routing Table as “Default” since we haven’t created it. Configure a Signalling group as shown in below snapshot. 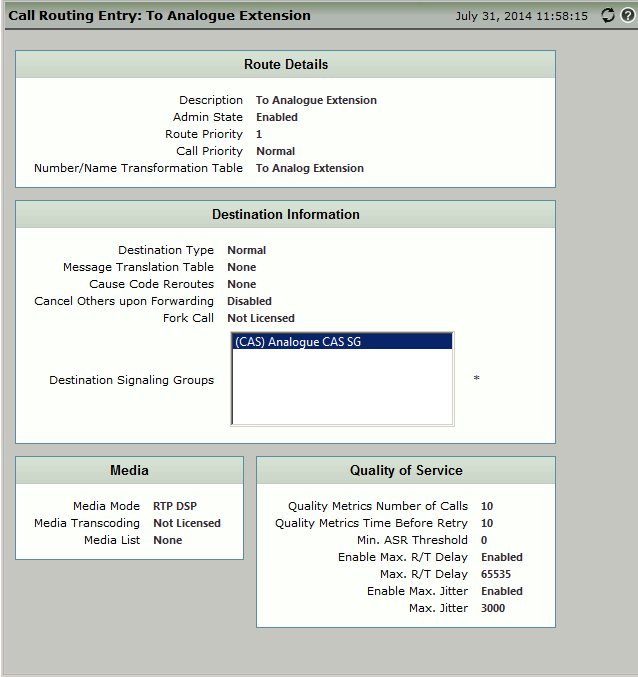 This one specifies where the call to be sent to if it’s coming from lync server. In this instant, “To Analogue Extension“. 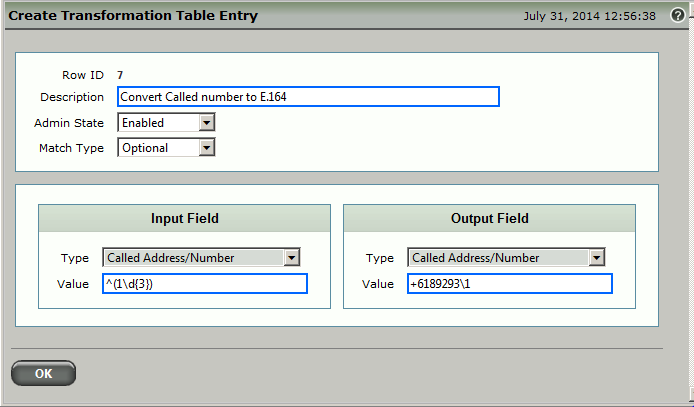 Configure the routing table as shown in below snapshot. 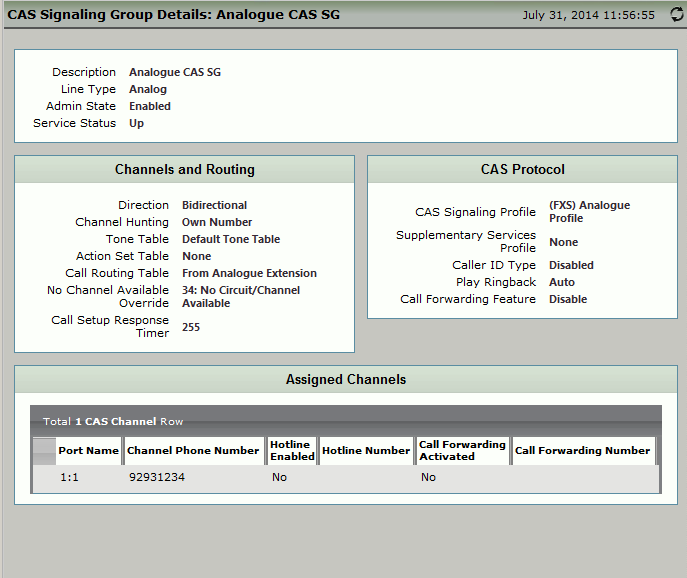 This one specifies where the call to be sent to if it’s coming from Analogue Extensions. In this instant, “To Lync Server“. 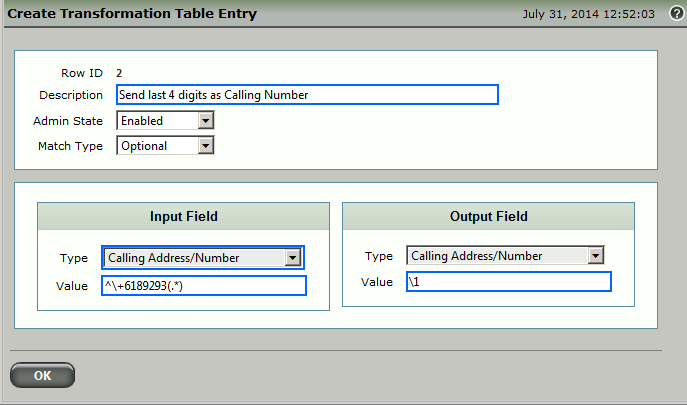 Configure the routing table as shown in below snapshot. Now the configuration is done. Based on this configuration, If a Lync user dials +6192931234, the call will hit on the Analog extension configured as 92321234. And the analogue extension make a call to extension 1212 (Lync User), this will get normalize in to +61892931212 and get forwarded in to Lync Server.